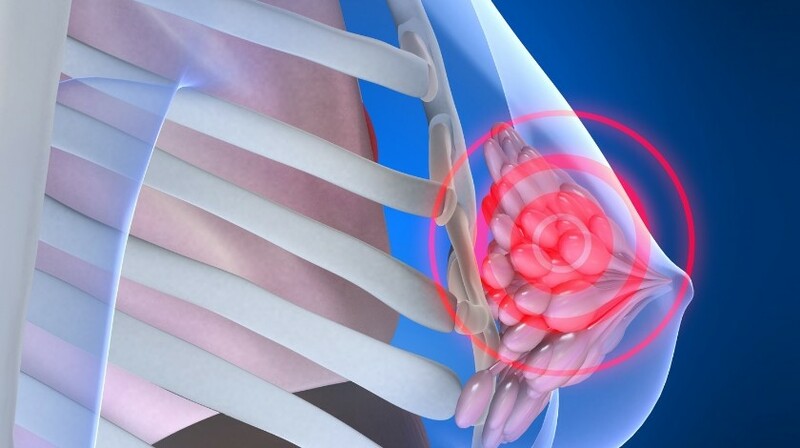 Aim: Early breast cancer detection is important for intervention and prognosis. Advances in treatment and outcome require diagnostic tools with highly positive predictive value. Purpose: To study the potential role of quantitative MRI (qMRI) using T1/T2 ratios to differentiate benign from malignant breast lesions. Methods: A cross-sectional study of 69 women with 69 known or suspicious breast lesions were scanned with mixed-turbo spin echo pulse sequence. Patients were grouped according to histopathological assessment of disease stage: untreated malignant tumor, treated malignancy and benign disease. Results & Discussion: Elevated T1/T2 means were observed for biopsy-proven malignant lesions and for malignant lesions treated prior to qMRI with chemotherapy and/or radiation, as compared with benign lesions. The qMRI-obtained T1/T2 ratios correlated with histopathology. Analysis revealed correlation between elevated T1/T2 ratio and disease stage. This could provide valuable complementary information on tissue properties as an additional diagnostic tool.